Parents are quick to mention some things to their pediatrician: fevers, seizures, bleeding. Snoring is another important symptom that your child’s doctor needs to know about, though it often goes unreported. Snoring can be the sign of obstructive sleep apnea syndrome (OSAS), where there is prolonged partial blocking, or intermittent blocking, of breathing during sleep. OSAS can cause growth problems. It has also been linked to ADHD, poor school performance, learning difficulties, bedwetting, high blood pressures, and even death. OSAS is different from primary snoring (PS), the name given to snoring that doesn’t cause sleep disruption or breathing problems. 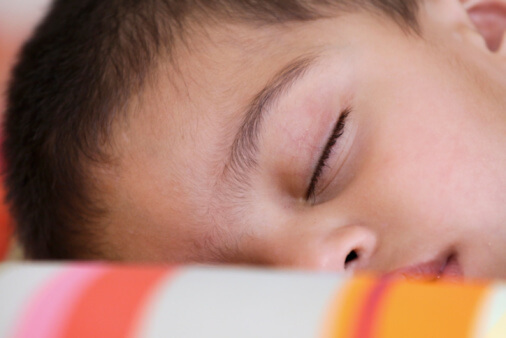 Primary snoring is more common than OSAS, which occurs in about 2 percent of children. The American Academy of Pediatrics has issued important April 2002 guidelines for diagnosing and managing OSAS. They state that OSAS and PS cannot be distinguished from each other based on the history and physical examination alone. Other tests must be used. A sleep study is the gold standard test for telling the difference. Thus, snoring needs to be reported to the doctor, and when snoring lasts longer than a brief respiratory infection, it deserves thorough evaluation.